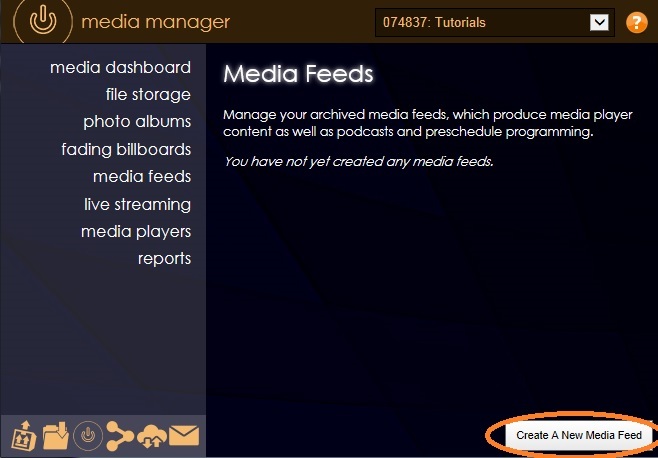 Open the Media Manager> Media Feeds> Create A New Media Feed. The next screen will request some information before actually creating the feed. This includes a title, description, categorization options and other miscellaneous information. Click Save Media Feed when finished adding this information. 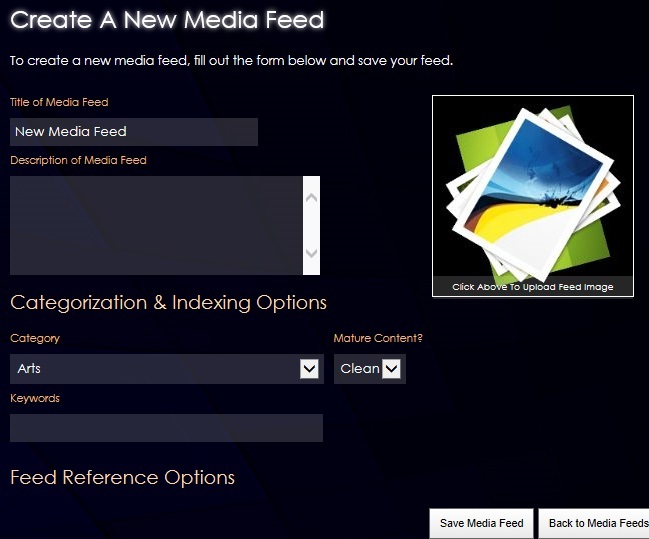 When finished adding your initial feed information, you can begin adding media by clicking the Upload A File button located in the top-right corner of the screen. This button will allow you to browse your computer for files to upload.